'Ghost' Soprano Marni Nixon, Who Voiced Blockbuster Musicals, Dies At 86 : The Two-Way You might not know Marni Nixon's name, but you've probably heard her. Nixon dubbed the voices for Audrey Hepburn in My Fair Lady, Natalie Wood in West Side Story and Deborah Kerr in The King and I. 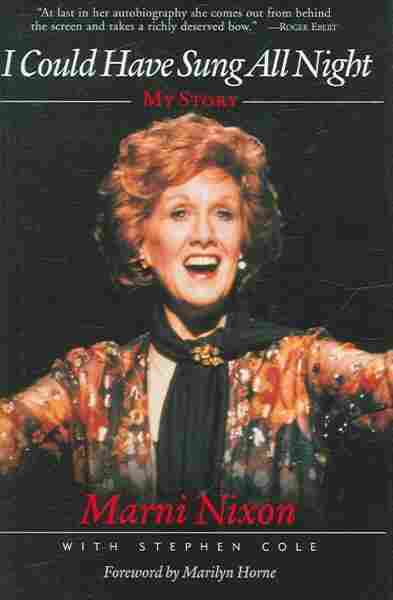 Soprano Marni Nixon, shown above in June 1988, was dubbed "The Ghostess with the Mostest" in Time magazine. "Bad rhyme, but that sort of stuck," she said. Nixon had a career that defied categorization. 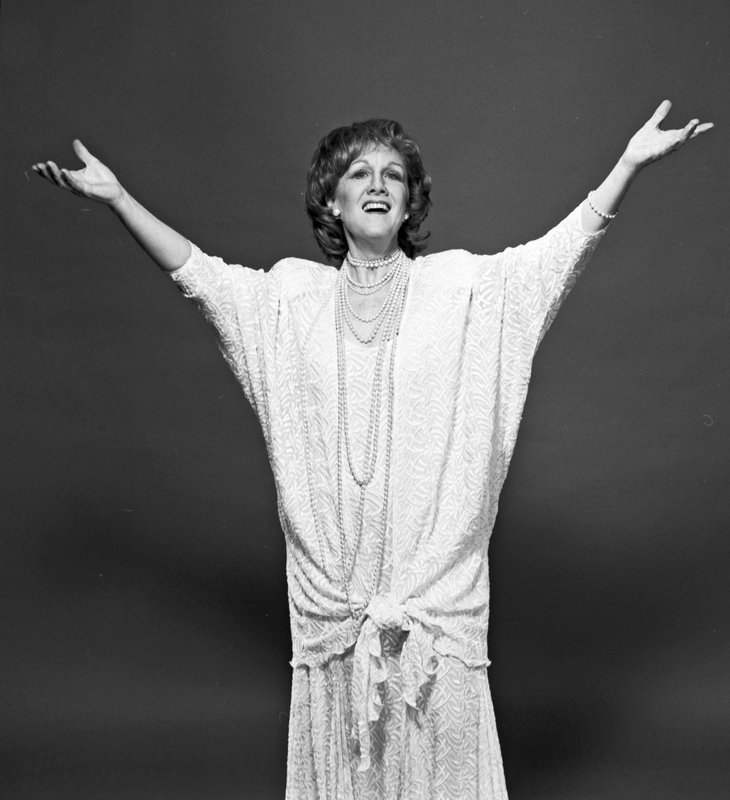 She performed on Broadway and in opera houses, hosted an Emmy Award-winning children's television show and was a well-regarded singing teacher in New York. She was a clue on Jeopardy! and in The New York Times crossword puzzle and was a question in Trivial Pursuit. Born in Southern California, Nixon became a sought-after singer by the time she was a teenager. She had perfect pitch and was able to read any piece of music handed to her, no matter how difficult. Nixon worked constantly, dubbing voices for Hollywood studios. In 1954, she got a call to ghost Deborah Kerr's voice in The King and I. Kerr understood she needed to be dubbed, and in 2006 Nixon said their relationship was very collegial. "Whenever there was a song to be sung in a scene, I would get up and stand next to her and watch her while she sang," Kerr recalls. "And she would watch me, while I sang. After we recorded that song, she would have to go to the filming of it and mouth to that performance. So, she had to be very aware of what she was going to do and how she was going to sing the song, ahead of time." Studio executives at 20th Century Fox insisted that Nixon sign a contract, swearing her to secrecy. But her reputation in Hollywood got her another big-ticket gig: West Side Story -- where things were not quite as friendly with Natalie Wood, who played Maria. Wood was aware that Nixon was recording tracks, but she thought only certain high notes would be substituted, not her entire vocal, says Stephen Cole, who co-authored Nixon's memoirs. "In fact, they did prerecordings in the same studio with the same orchestra, where Natalie would do a song and then Marni would do the same song," Cole says. "Marni thought it was barbaric, because Natalie was not good and everyone would tell her she was wonderful, she was fabulous, knowing that they would not be using her tracks." Nixon said she had a better working relationship with Audrey Hepburn on My Fair Lady, even though Hepburn, like Wood, expected most of her own vocals to be used. "She kept going to her voice lessons and trying to improve certain parts and rerecord certain things," Nixon says. "But she could also tell that she wasn't making it." It was only after she worked on My Fair Lady that Nixon finally got some public recognition for being a ghost. "Suddenly Time magazine called and they said they wanted to do an interview with me and they had found out about the dubbing," Nixon recalls. "So they came and sent a photographer, and they dubbed me 'The Ghostess with the Mostest.' Bad rhyme, but that sort of stuck, you know?" After My Fair Lady was released in 1964, Nixon appeared onscreen in only one movie — The Sound of Music — as Sister Sophia, one of the nuns who sing "How Do You Solve a Problem like Maria?" The film's star — Julie Andrews — didn't need any help in the singing department. But Cole says Nixon was still a ghost, as far as the public was concerned. He recounts this story from the premiere of The Sound of Music: "She got out of her car with her red hair and they all screamed, and then they looked at her and said: Oh, it's nobody!" Cole says. What they didn't realize was that Nixon was the voice that animated some of Hollywood's biggest movie musicals. She was definitely somebody.